Birthdays are such a big deal when it comes to making a party for your kids. Everything has to be creative and fun, and we’re talking about the food too. There are hundreds of ideas for the perfect birthday cookies, cakes and cupcakes. There are many possibilities and not enough time to make and bake everything. So, instead of spending hours of researching different birthday cookie ideas, here you can read ten of them. You will find easy recipes which will won’t take much of your time, but there also the more creative ones that require more attention and will. But, we’ll do anything for our children to have the party they want, right? 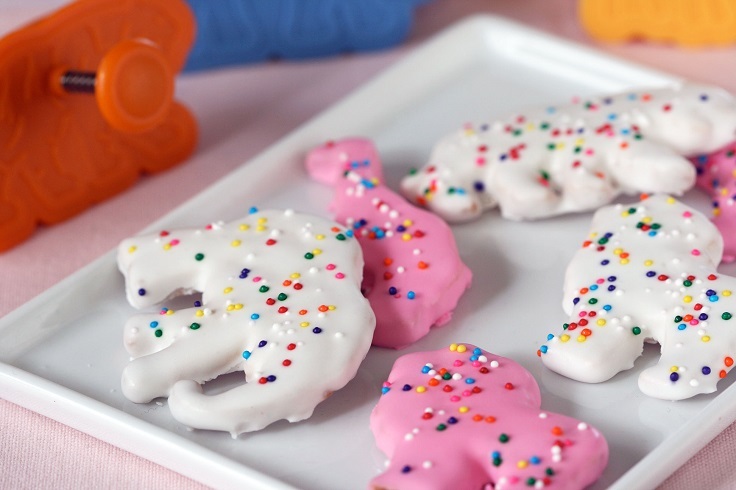 Making animal – shaped cookies can require attention and will and it’s not rare to end up disappointed because the figure didn’t turn out as expected. That’s why there is a way to make animal shaped cookies without stressing over whether they will turn out as you want. You still need cookie cutters and after you bake, you cover the cookies in icing. Instead of baking cupcakes, how about baking cookies in the form of cupcakes? You won’t be disappointed because they taste as delicious as the cupcakes, and they also look as cute as them. 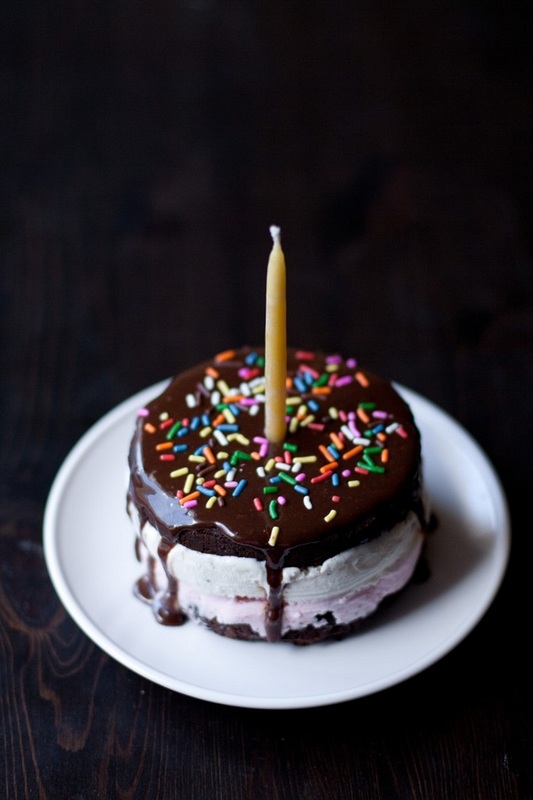 They can make your birthday food choice not only delicious, but also creative. 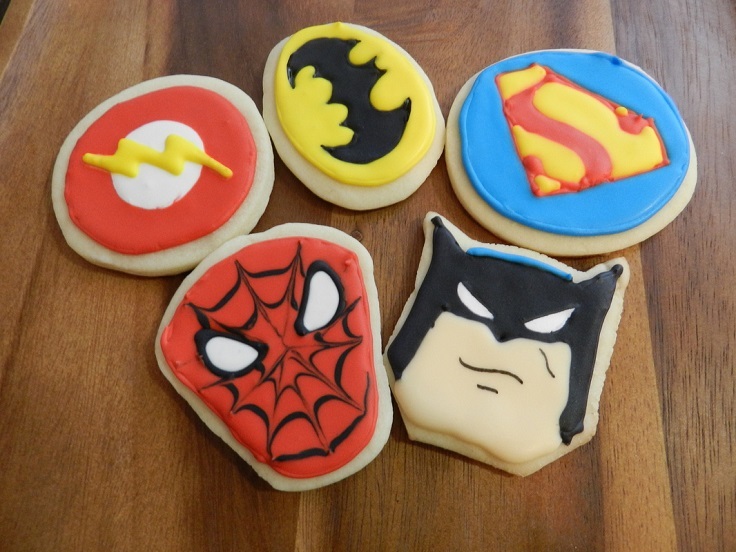 If your kid is a fan of reading comics or watching movies/cartoons with DC comics heroes, here’s a way to make his birthday fantastic – make cookies with his favorite heroes! This one is such a great choice especially if you are making a theme party. 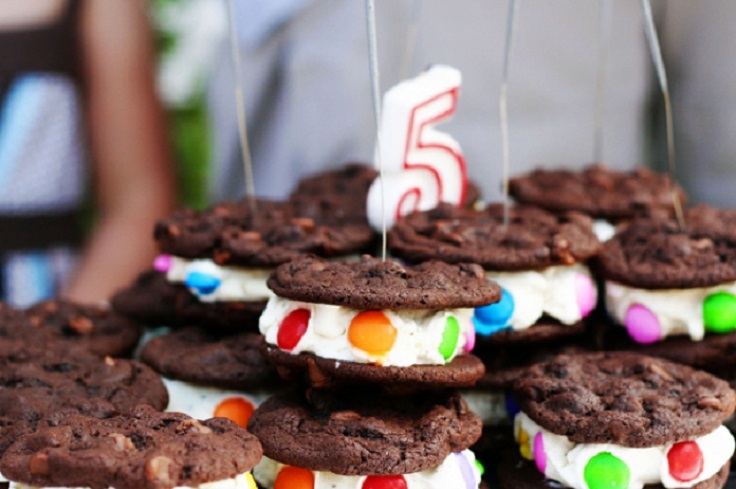 Not only the guests will wear costumes, but your cookies will play an important role in the whole birthday atmosphere! Spring is coming and there will soon be butterflies all around us. So, why not add something spring-ish in the birthday party? 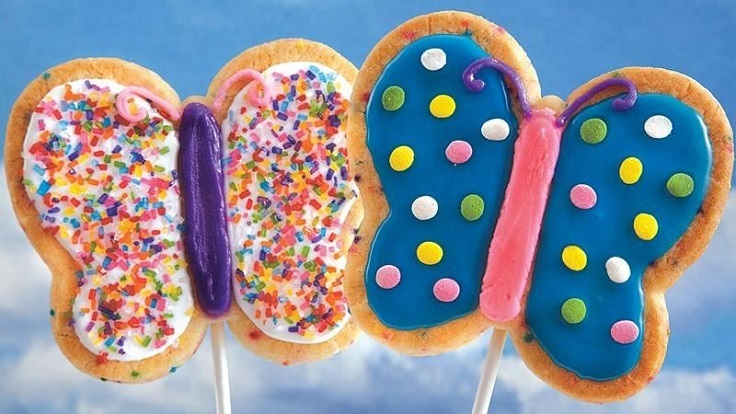 Making cookie pops in the shape of butterflies is such a creative choice for the party. They will steal your guests’ attention in no time, and you’ll see that these butterflies will easily fly into their stomach. 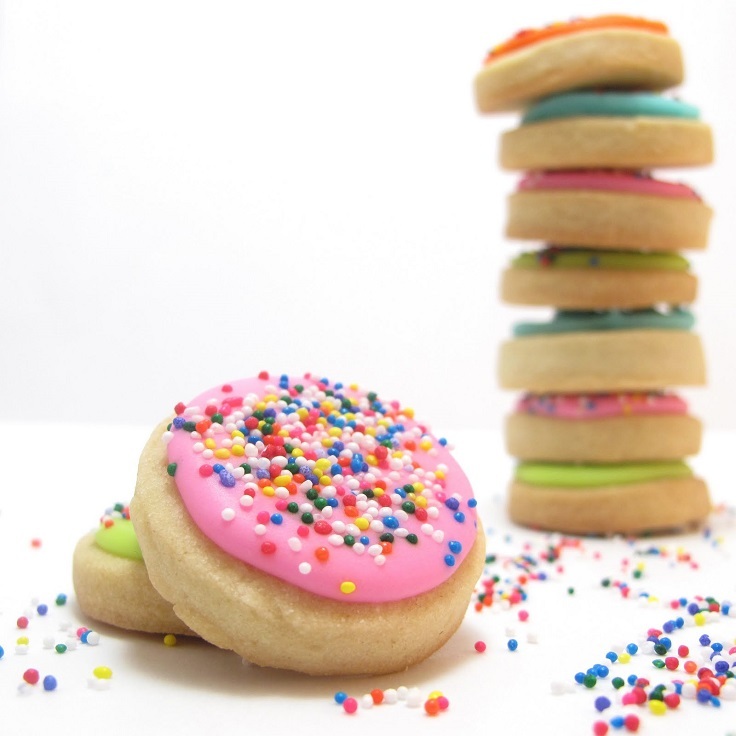 Colorful cookies will fit perfectly for such a happy event. Especially if they have sprinkles on them. 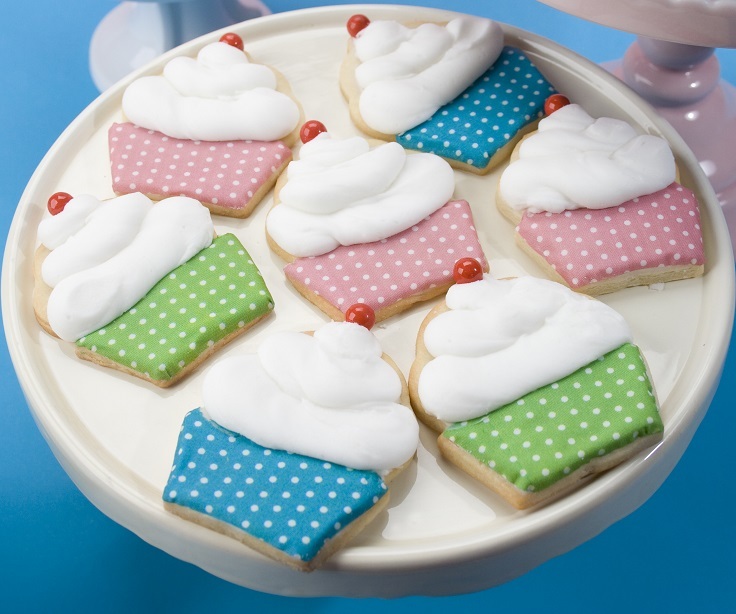 While your cookies are baking, you can prepare the frosting and to make the colors you would like to add. Then starts the creative part and that’s decorating the cookies. You should work with only one cookie at a time and you should also let them dry overnight. Brownie and ice cream in one dessert, how wonderful is that? You can choose which ice cream flavor to put, strawberry, chocolate, vanilla, whatever you like. There are other possibilities as well. You can add chocolate on top of it and then sprinkle it, or you can add vanilla and raspberries. Putting a candle on it is such a nice gesture which will surely be a pleasant surprise. This is the perfect chewy, yet crispy combination that includes browned butter, browned sugar and vanilla. And some M&Ms. It’s an easy recipe, so you must give it a try. The results will be 40 delicious cookies which will be eaten in a very short time. Try one, and you’ll see why. 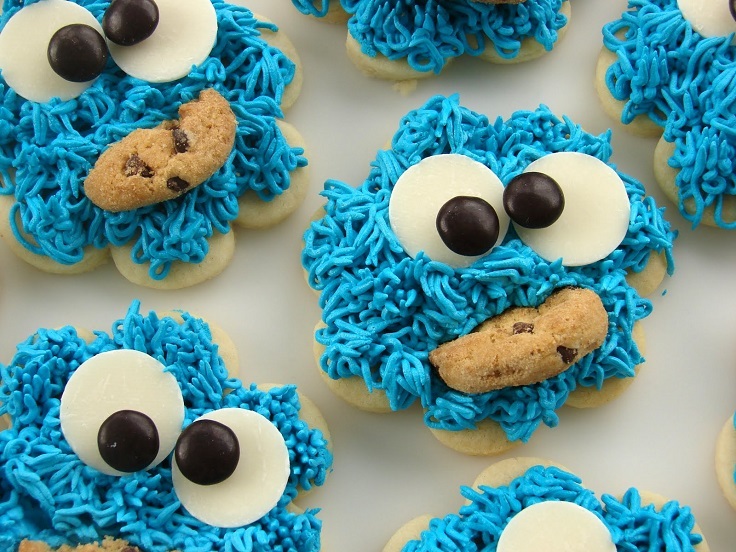 Every kid would like to eat one of these cookies, and how can they say “no” to those eyes and blue icing? They are not very easy to be made, but knowing that they are going to make our children smile is definitely something worth trying for. The eyes are black M&Ms, the frosting contains vanilla and almond extracts. Really delicious, yes. Here’s another ice cream sandwich recipe to try, if you don’t like the brownie version. You need two sugar cookies and a scoop of ice cream for one sandwich. Which flavor – your choice. 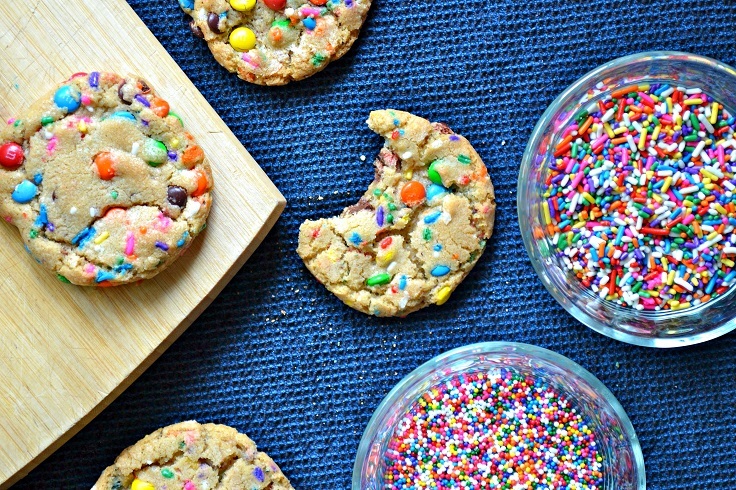 Adding smarties or M&Ms is going to make them even more delicious. You can add some berries if you want. Raspberries are always a great choice. There is no way that someone will refuse a piece of this cookie cake. Just looking at her is going to make you eat the whole cake, not just a piece of it! 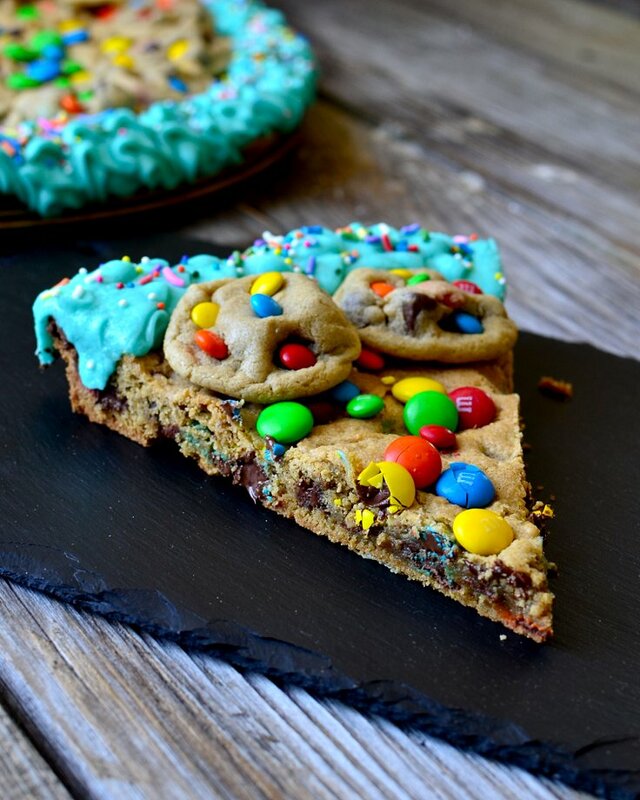 It has cookies, chocolate and M&Ms, and it’s gluten – free. You are going to love this one – really, the cookie cake is going to melt your heart and make you come back for more.